“Think of it as a blue Ferrari” was the Speedway snowmobile’s claim to fame and, of course, their advertising slogan. 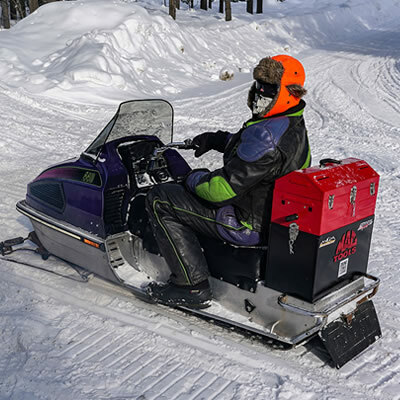 This is the first time we have encountered a Speedway sled and have had the opportunity to feature it in our Old Sled Zone Column. We spotted this one on display at last fall's Edmonton Snowmobile Show. This metallic blue, high-performance machine certainly has the low profile and power to roar like a Ferrari. 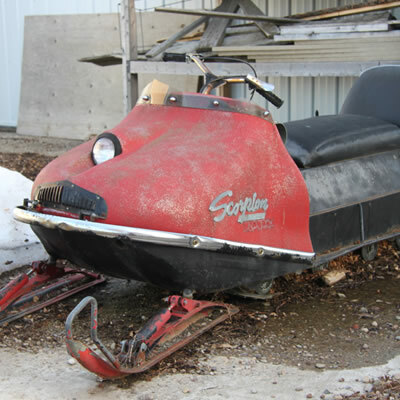 It is a 1972 Speedway 440 Kohler FA and is owned by Alberta Relic Riders’ member Kelly Grant. 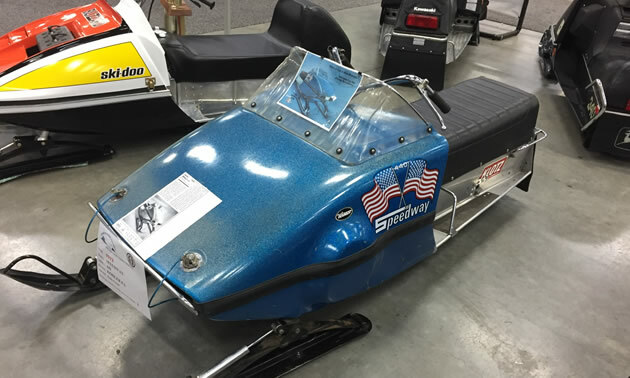 Evidently Speedway Products, Inc. of Mansfield, Ohio produced the Speedway snowmobile from 1972 through 1974. 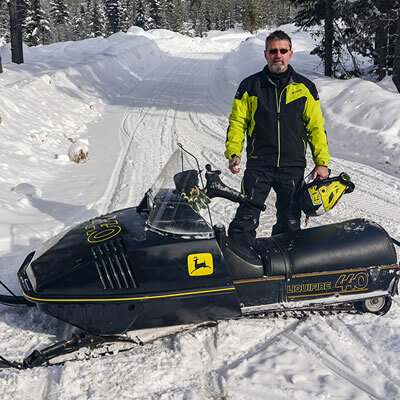 The machines were designed and marketed by ex-Rupp employees as high performance snowmobiles, according to a blurb from the Top of the Lake Snowmobile Museum. Features included aluminum chassis, 8” disc brakes, a low center of gravity and a sleek design. 1972 models were: 340cc Sachs Fan at 34hp, 440cc Kohler Free Air Twin at 58hp and the 650cc Kohler Free Air Triple at 90 hp w/pipes. 1973 models were: 295cc Kohler Free Air, 340cc Kohler Free Air Twin, 440cc Kohler Free Air Triple w/pipes and the 650cc Kohler Free Air Triple w/pipes. In 1973-74 approximately 1,000 Speedways were produced. In April 1974 the entire business was sold to Fox Corporation of Janesville, WI and the operation was moved to Janesville. You have to be impressed with the “blue Ferrari” of snowmobiles. Congratulations to Kelly Grant for showing off this great looking model.